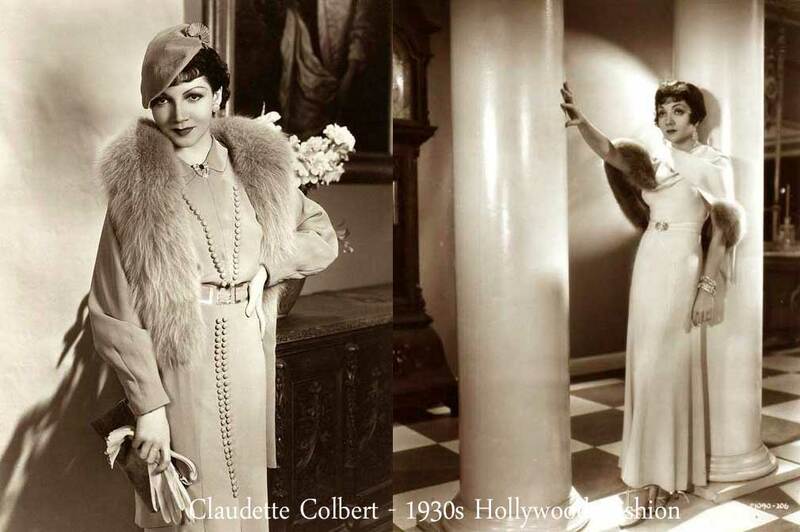 Claudette Colbert, star of “It happened one night” – tells Caroline Van Wycks, Glamourdaze’s time traveling fashion correspondent – how she learned to be glamorous when she was still a struggling actress with limited income. That’s probably the most common remark made by many women this winter – just when fashions are more flattering, romantic and exciting than they have been in years. But you don’t have to sit back and let the procession pass you by. 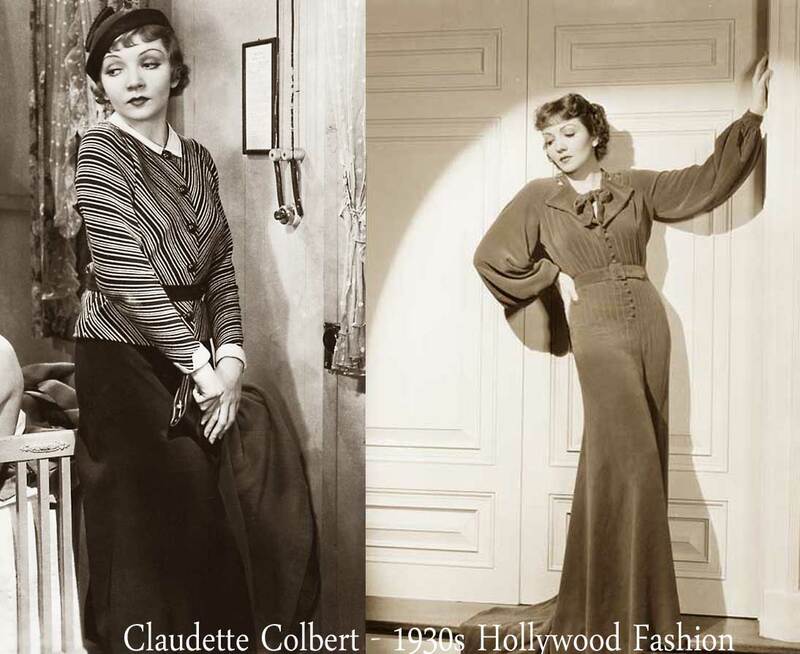 Like Miss Colbert – today’s major stars like Joan Crawford, Lilyan Tashman, Carole Lombard, Alice White, Adrienne Ames and Helen Vinson – all had to worry once about how to stretch a wardrobe dollar as far as possible. They all came from modest homes! 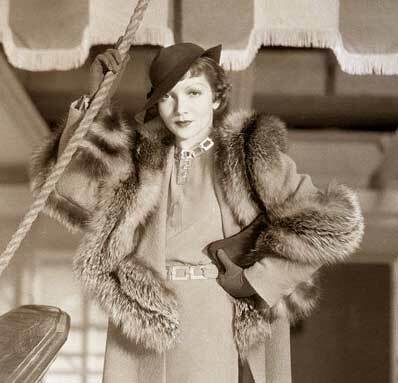 So to every girl who is suffering from a deflated fashion budget, but who longs for that smart appearance so generally recognized and desired nowadays, Hollywood is sending a bag of tricks and plenty of serious advice on the subject of being well dressed on a slim budget from none other than Miss Claudette Colbert. She then explains what she means.” Cheap shoes are always bad economy, unless a wary shopper can find what she wants at the semi annual sales, it is not wise to buy cheap footwear. Well-shod feet are of tremendous importance, not only for glamour, but for comfort and health, so splurge on your heels. On the other hand, I believe that hosiery can be placed in the economy class. Claudette lifts one of her famous legs, which she so memorably flashed in “It happened one night” from beneath the tablecloth where we sit and rolls her foot for my closer inspection. I agree. Why spill a wasteful amount of dollars on a pair of stockings from a high street store, where you are generally press-ganged into buying the most expensive brands by an army of sales women. ” Hats – what life savers they are! exclaims Claudette, ” if you know how to pick out the right kind in a marked down shop. Gloves should also be fairly good, as they receive much wear in winter. In dresses, again, some can bear up under bargain beginnings and of course some cannot. That little silk frock or simple sports wool outfit can be placed on the cheap side. Just add the glamor to them by wearing pretty shoes and accessories. However, finally – the tailored suit must never never be cheap. If it is to be just one suit for the season, don’t scrimp on it. You want to look your best. You can change its appearance by swapping coats, hats, gloves and bags with it. Believe me I know, it is not so long ago when I had to make one outfit last a whole year! Originally published November 1934 in Motion picture. Many thanks to The Media History Project – for sourcing,scanning and preserving these wonderful magazines. Fabulous! 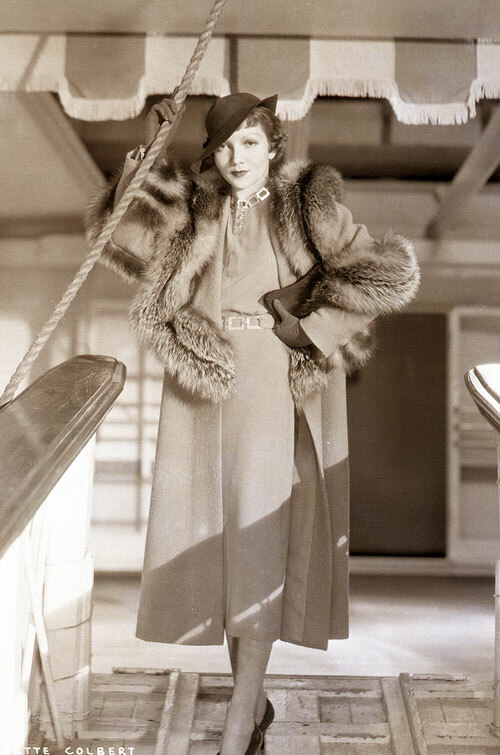 She has to be my favourite old Hollywood film star.